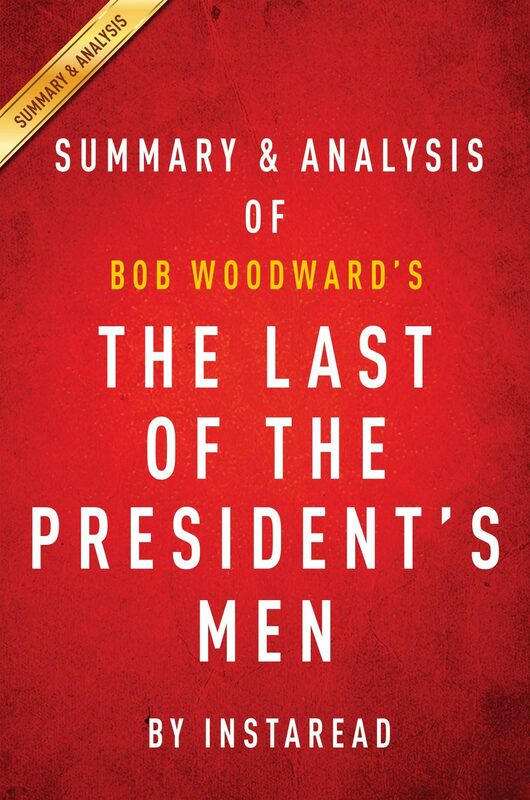 Kindle Description: &nbsp; The Last of the President&rsquo;s Men by Bob Woodward | Summary &amp; Analysis &nbsp; Preview: The Last of the President&rsquo;s Men is a nonfiction work about Alexander Butterfield, an aide in the White House during President Richard Nixon&rsquo;s first administration, written by Pulitzer Prize winning writer Bob Woodward. This is the fifth book Woodward has written about the Watergate scandal. In 1968, Colonel Alexander Butterfield was an officer in the US Air Force stationed in Australia. Previously he served in Vietnam where he flew 98 combat reconnaissance missions, and before that he served as a liaison to the Johnson Administration for the Office of the Secretary of Defense. Butterfield was a highly respected officer, on track to becoming a four-star general and possibly more. However, in order to advance, he was convinced he needed to be closer to the most important military action of the day, Vietnam, not stuck in Australia. The desire to move on from his current post motivated him to reach out to an old college pal, Harry Robbins &ldquo;Bob&rdquo; Haldeman, who was set to be chief of staff for the newly elected Nixon... &nbsp; PLEASE NOTE: This is a&nbsp;summary and analysis&nbsp;of the book and NOT the original book.&nbsp; &nbsp; &nbsp; Inside this Instaread Summary &amp; Analysis of The Last of the President&rsquo;s Men &nbsp; &bull; Summary of book &bull; Introduction to the Important People in the book &bull; Analysis of the Themes and Author&rsquo;s Style &nbsp; About the Author With Instaread, you can get the summary and analysis of a book in 15 minutes. We read every chapter, summarize and analyze it for your convenience. Otros ebooks de Instaread Summaries.